I grew up expecting to have to eat the onions on my plate whether I wanted them or not. That’s just how it went at our house, and I didn’t question it. Good thing I’ve always liked them. 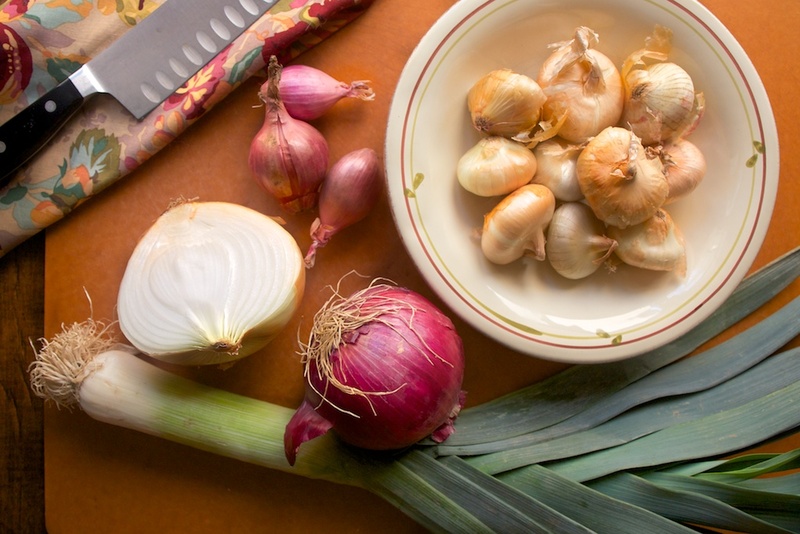 Although I remember my mother telling me my grandfather liked a good onion sandwich, we had them sliced and in salads — mostly yellow onions because they were a staple — but scallions were included once in a while, along with red onions. Now that I think of it, red onions made their appearance when we lived in Spain because they were served in the cafes, often included with cucumbers and tomatoes in a very light water and red wine vinegar marinade. No lettuce, just a sprinkle of salt. It was wonderful. Onions were chopped and fried in bacon fat for the liver my mother enjoyed so much, and as much as I didn’t want a taste of the liver, I could sit all day and inhale the aroma of those onions. Chopped onions went into simple spaghetti sauce to flavor it, or in goulash along with other vegetables and pasta, because it didn’t seem right to not have them in the mix. My mother’s meatloaf wouldn’t be meatloaf without chopped onions. They were quartered and added to our Sunday pot roast with carrots and celery as well, but I didn’t appreciate their flavor in the braise. Perhaps it was the sweetness — something I expected in the more predictable foods kids enjoy — not an onion. I still had to eat them. I liked them best raw on burgers, or a salami sandwich, the crunch and sharp spike of flavor something that was definitely missed if it wasn’t included. Maybe it was the onion soup my father made one year before a holiday dinner. I’m surprised I don’t remember the details of his making it, but the flavor of those long cooked onions nestled in a rich broth gave me a different perspective on just how unique the sweetness of caramelized onions could be. 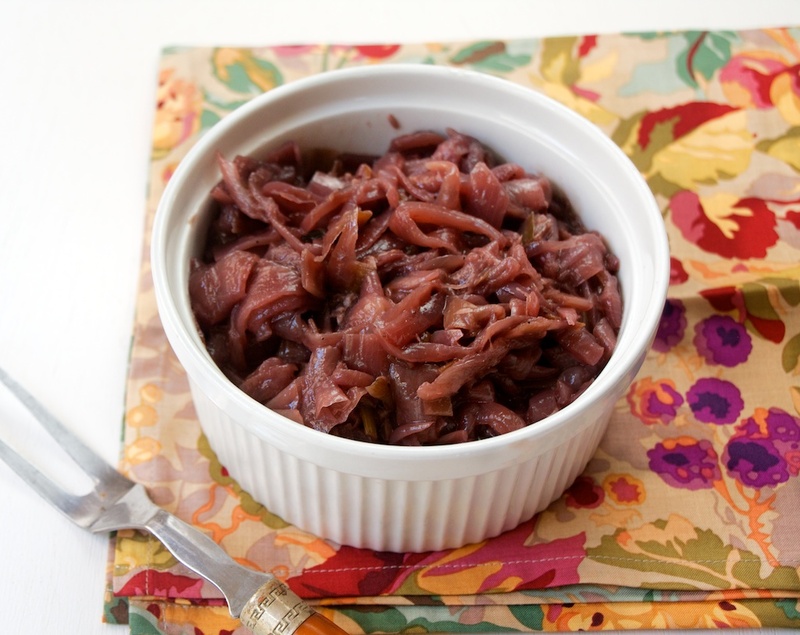 I’d never had onion confit, though, and wondered just how different it might be. Would the sweetness that it took me years to appreciate be more intense and if it was, would I enjoy it? Based on many of the recipes I’ve come across where onion confit or jam is included, I’m thinking yes. But would one type of onion suffice? Heat the butter and olive oil in a lidded skillet or pan with a wide bottom until the butter is melted. 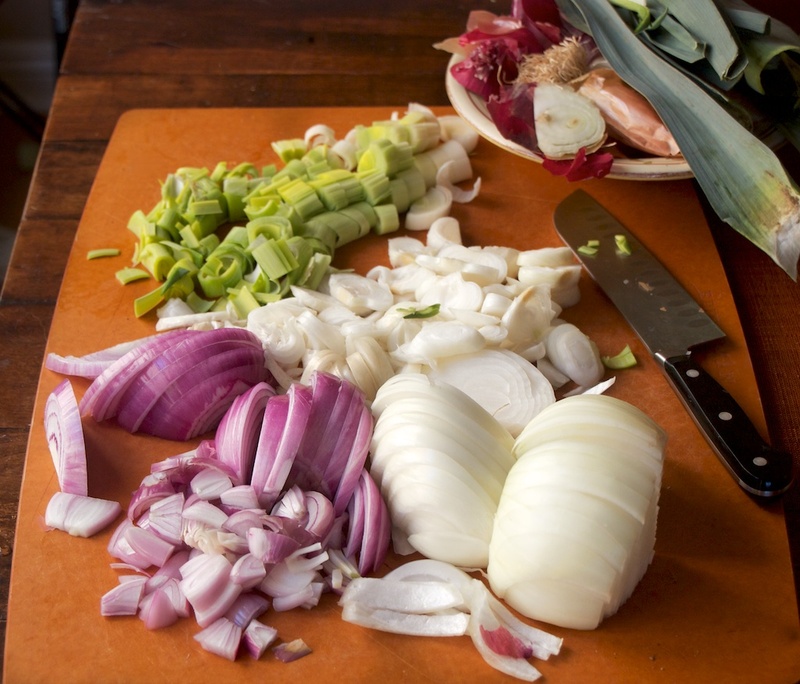 Add all the onions and garlic at once and season with salt and pepper. Stir briefly to mix the ingredients. 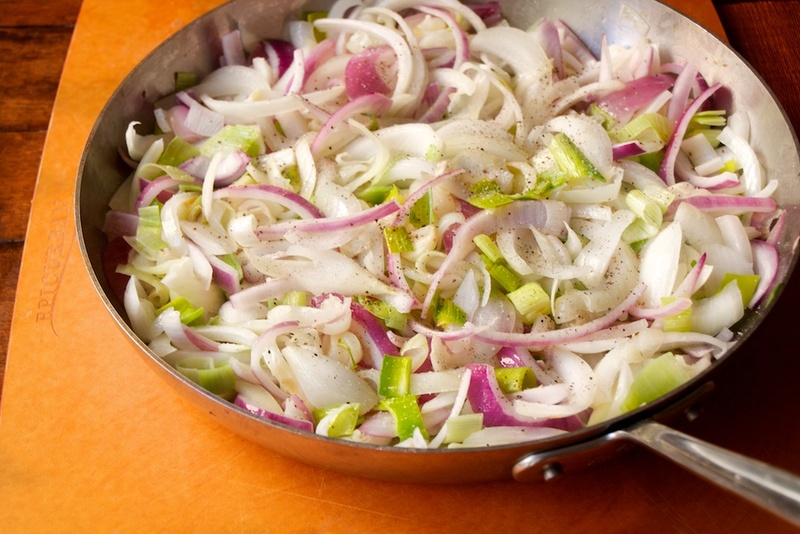 Cover the pan and over low heat, cook until the onions begin to soften, about 5 minutes. Sprinkle the sugar evenly over the onion mixture, stir it in, then cover and allow to cook for an additional 5 minutes. Now add the remainder of the ingredients. Gently stir to mix all the ingredients well, cover and allow to cook on the lowest heat possible, about 1 hour. Check the pan occasionally to ensure there is still liquid in the pan. It should decrease gradually over the entire cooking time. If necessary add more wine a few tablespoons at a time in the first 30 minutes of cooking time only. The onion mixture should be glossy and thick when done. Scrape the contents of the pan onto a wide platter and allow to cool to room temperature. If not using immediately, place in a well covered container in the fridge. If there was such a thing as swoon-worthy, this luxurious combination of flavors would certainly qualify. Although I don’t have an official culinary bucket list, onion confit is something I’ve wanted to make for some time, so I’ve mentally checked it off my nonexistent list with great satisfaction and new understanding that no, onion confit is not the same as a skillet full of caramelized onions. 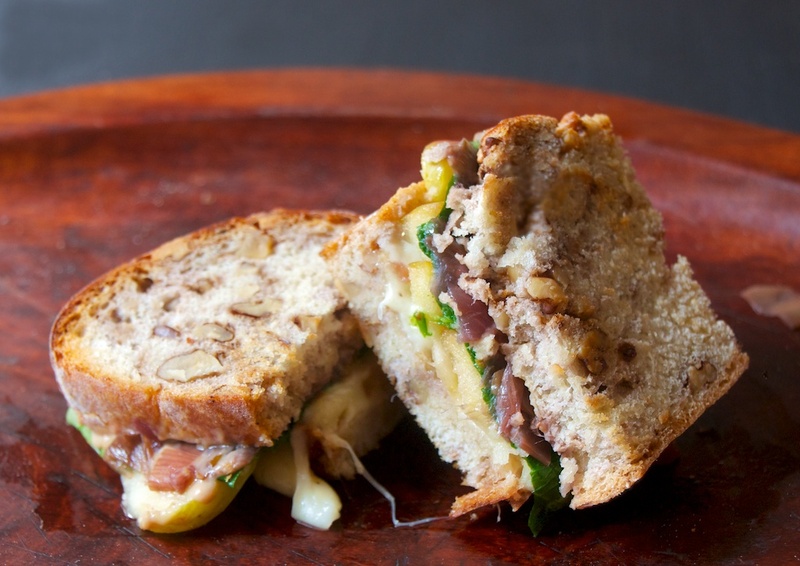 This recipe was adapted from one by Steve Sullivan who is the founder of the Acme Bread Company. 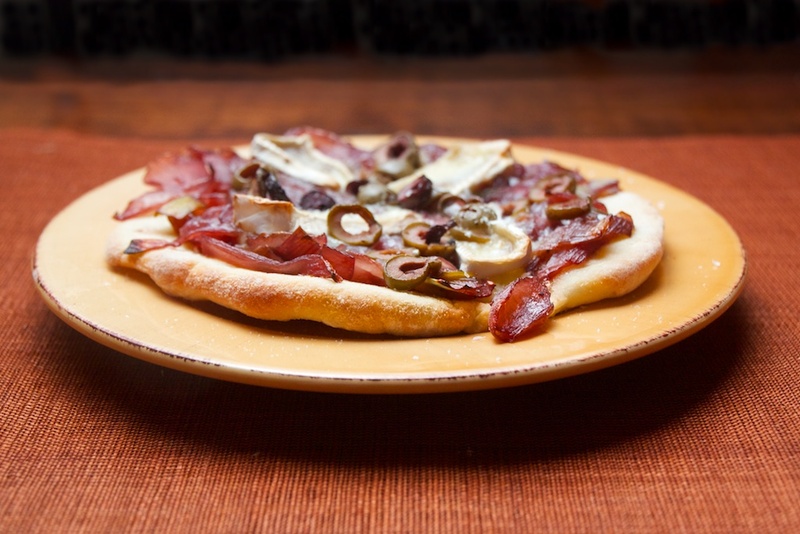 It accompanies his Pizza with Onion Confit recipe in Baking with Julia. So what’s the difference between a confit and a jam, or preserves, and does it matter? A confit preserves food either in fat — as in duck confit — or in sugar, such as with fruit. Think preserves, but with less sugar. But then again, this lemon confit recipe uses sugar and salt. It’s a toss up as far as I’m concerned. From what I’ve researched, the terms are now used less to describe a method of preparation than the resulting product. For example, onion confit, which only contains a bit of fat and sugar, ends up being quite jammy in consistency. Fruit jam often contains pieces of the fruit in the end — hence, jam. Am I making any sense? If I’d chopped the onions, I’d be more inclined to call this a jam, but that’s my simple opinion. 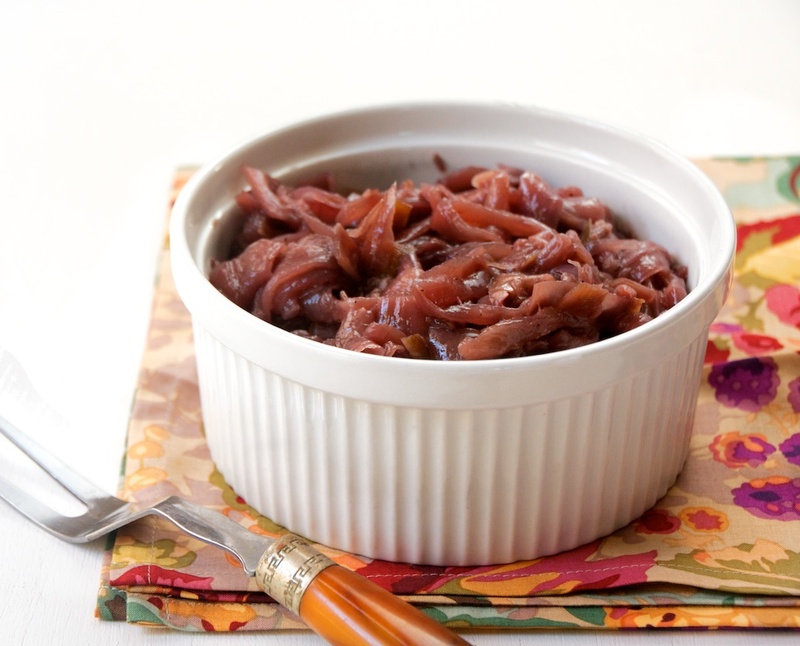 Comparing many, many onion confit recipes, honestly, I see little difference. In most, sugar and acid in the form of vinegar is added to the onions to make the confit or jam. Ultimately, when I think of recipes that involve some kind of preservation, I think of ages long past when refrigeration didn’t exist, and people wanted to keep the food and flavors to last well past harvest time. And speaking of onions, the five “onions” I used for this confit are from the allium family, but not all onions, specifically. 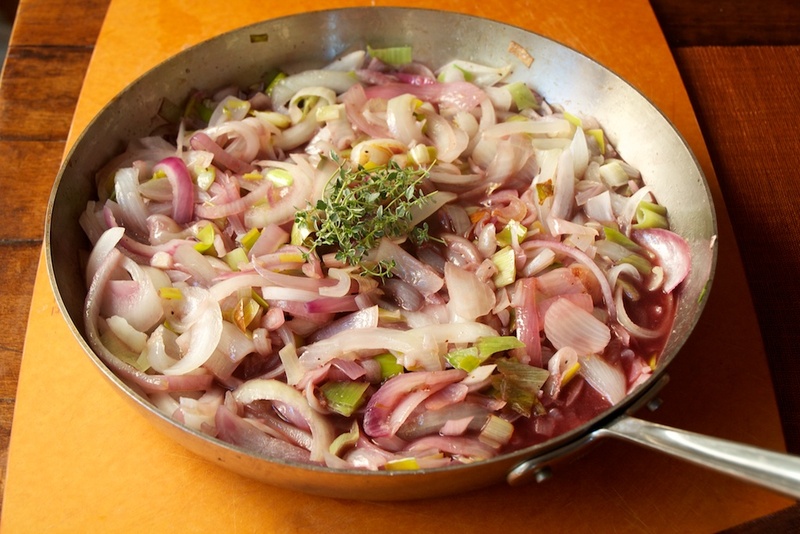 Although I made this onion confit to accompany a pizza and sandwich, there are other great things to enjoy it with such as burgers, pasta, grilled meat, white beans, in or on meatloaf, in soup or bread. I’ve got this Tartlet of quail and quail eggs with onion confit on my mind. Think about the possibilities before you start and you’ll have a week’s worth of menu items lined up and ready to go!